Do you enjoy providing great service in a serene and relaxing environment? Help make memorable experience by joining our team as a Spa Desk Agent. The Laundry Driver/Attendant will exemplify the mission of the Resort, exceeding guest expectations, by taking pride in the cleanliness and timeliness of laundry at the Resort. Join our Spa Offering the best in classic American sophistication and leisure, tranquility. The General Maintenance Technician embodies the French Lick Resort mission statement: Exceeding Guest Expectations and will assist guests with maintenance requests, identify problems and perform various maintenance tasks. Dealer School Training to start on April 29th . Interviews will be April 23rd and 24th. . The Steward will keep and maintain the kitchen as well as the equipment as a key part of the food and beverage team. Do you like to clean? We have may have a job for you! 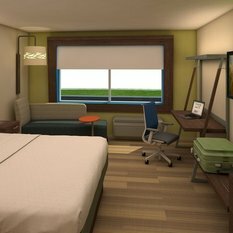 Now hiring for Guest Room Attendants and Room House Attendants who provide the highest level of guest satisfaction in cleanliness and service. EMT Certification? Apply today to be a part of a great company and team!! BASIC FUNCTION: The Massage Therapist will perform massage, body and hydrotherapy treatments, and provide personal attention to each guest. The Server Assistant embodies the French Lick Resort mission statement: Exceeding Guest Expectations, and is responsible for the clearing and setting of tables in a timely manner. The Cook embodies the French Lick Resort mission statement: Exceeding Guest Expectations, and is responsible for the preparation of food items. If you like being active, communicating with guest, and are wanting to take part in a career that helps secure and handle a variety of responsibilities then Security could be a just what you are looking for. Do you like the Casino atmosphere? Do you enjoy people? Apply today to become a Dealer at the French Lick Resort & Casino. 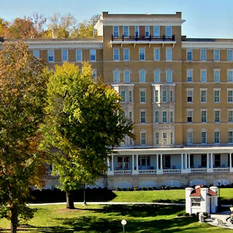 French Lick Resort wants to help get your career started on the right path. Internships are available in a variety of departments at both hotels and on our golf courses.